As you drive through the gates and crunch along the sweeping gravel drive, to be greeted by this honey-hued, wisteria-clad, Georgian country house, with its striped lawns and grounds featuring mature trees, nestled in ancient woodlands, you can be forgiven for forgetting for one moment that you are only minutes away from the A1, near Morpeth. The hamlet of Eshott itself is a short drive from the Northumbrian coast. Once you arrive in this timeless setting, you enter a different world. 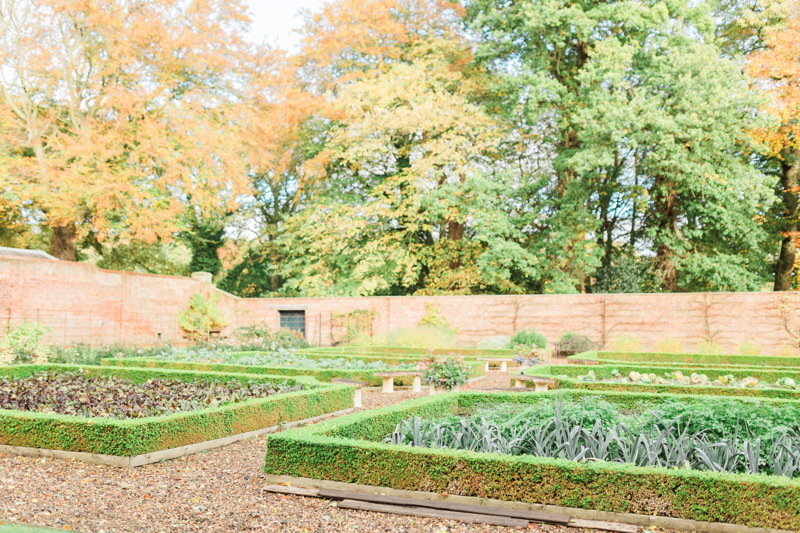 Eshott Hall is the ideal venue in which to embrace the spirit of the ‘original country house’ weekend. Due to its intimate size, each wedding here is exclusive use, the close knit team offer a friendly yet professional service, bespoke to your party’s needs. 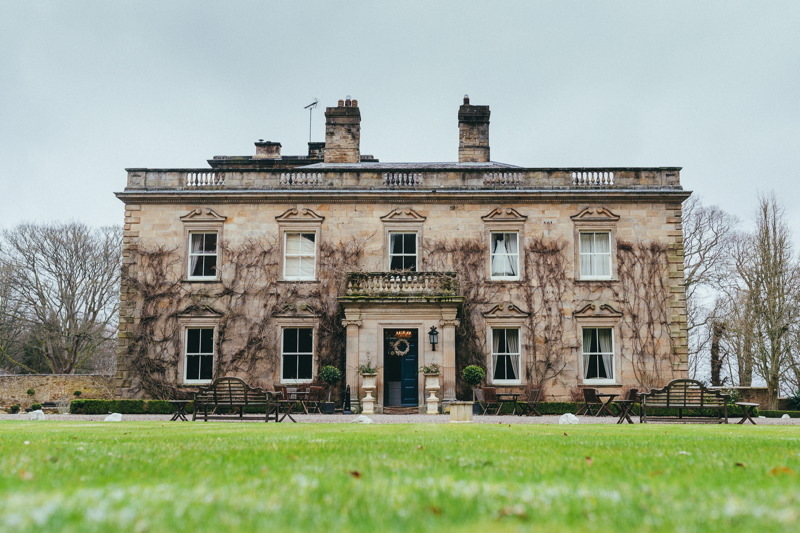 A warm welcome awaits, the Hall despite its grandeur feels somewhat homely, allowing everyone to kick back and feel relaxed, to really make the most of this lovely country house and its surroundings, which include tennis courts and a croquet lawn. The beautiful hallway features a cantilever staircase, with a William Morris, jewel- coloured, stained glass window providing an elegant backdrop to the bride, as she walks down the stairs for a breathtaking ‘reveal’ on the day. Smaller ceremonies have been known to take place in the Hallway itself, or the Library, or Drawing Room. Couples have plenty of choice, depending on the size of wedding and their individual taste and style preferences. 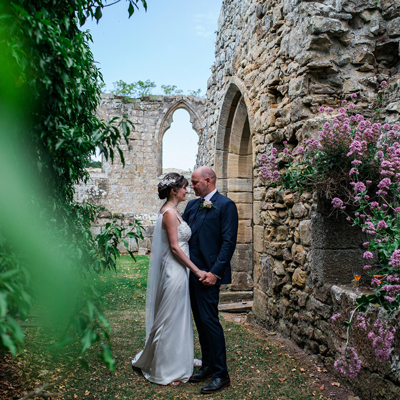 Traditional couples may also like the idea of walking to the Village Reading Rooms, which was once a Methodist Chapel to tie the knot, followed by a romantic stroll back to the House for the celebrations to begin. 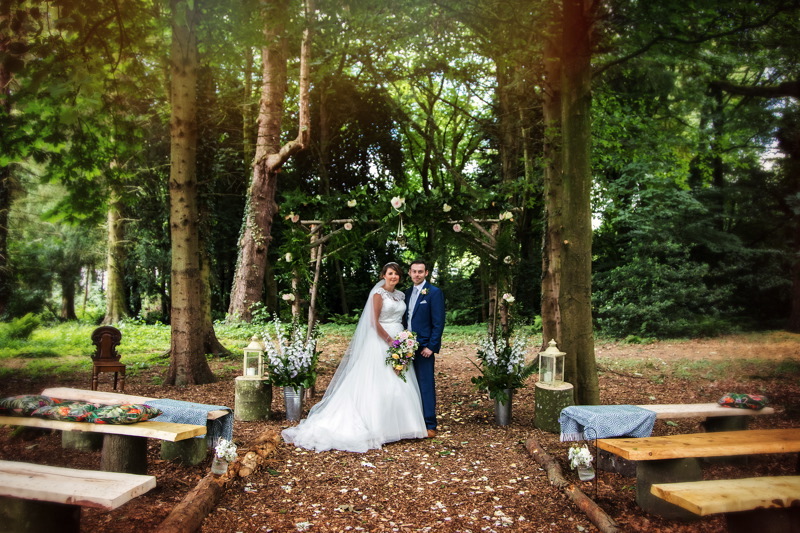 Those preferring a more organic style can tap into the ethereal spirit of the magical woodland area, with its Victorian fernery – a natural and botanical backdrop for an outdoor wedding with an aisle created from tree bark, or a novel setting for a summer drinks reception. 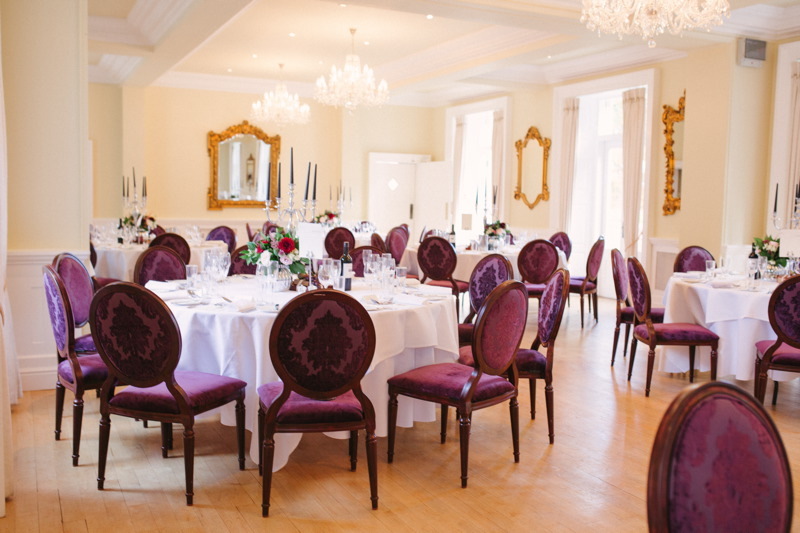 The Ballroom is a magnificent space for the reception – full of natural light with its French windows onto the gardens, and ornate gilt mirrors – it also has its own private bar… let the feasting begin! Once the party’s over – several rooms feature four poster beds and roll top baths for a romantic first night and guests are spoilt for choice with a selection of bedrooms and suites in the main Hall, as well as The Lodge, and a collection of cottages only a stroll away from the main event. Thank you for making our wedding absolutely perfect! To everyone at Eshott, thank you all so so much for everything you did to help make our day perfect. It couldn't have gone any better and we will always have the memories of our beautiful wedding to look back on. You were so helpful and supportive during our stay, you made the build up and the day so special. We will always be ever so grateful to you all. Thank you for everything you did in the run up to our wedding and on the day itself. We both had the best day at our 'private estate' and we wish we could do it all again! The feedback from our guests has been superb with most of them especially complementing the Wedding Breakfast which was just beautiful! Thank you, we will be back (regularly!). There are no words to thank you enough for all your amazing work on our wedding at the end of last October. 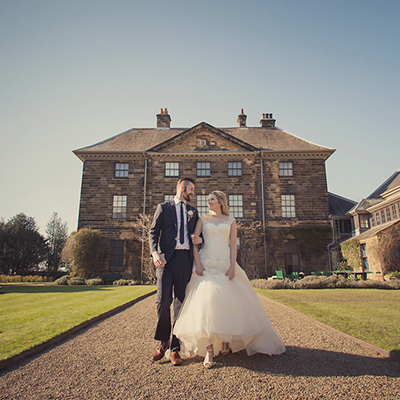 From the first time we parked our car outside Eshott Hall we knew we had found our venue. Thank you for your time and genuine interest in getting to know us and all the details of our wedding and for your expert advice on the little details. Thank you as well for always being available and so patient replying to my countless emails! I am forever grateful for your care and attention and our guests felt so welcome they commented several times on how our wedding was the best they've ever been to or how they'd love to be able to repeat that weekend! We could not have been happier with our day and it's impossible to describe the joy that having had the wedding of our dreams brings us today. The memories of our day will last a lifetime and I feel so lucky to be able to say we had a PERFECT wedding, very much thanks to your professionalism and talent. Thank you all so very much for making our wedding day more magical that we ever expected it could be. All the staff were friendly and always professional. The service was outstanding, food amazing and the venue itself is completely perfect (like a fairy-tale). Can't wait until next year when we will stay overnight again with you for our complimentary anniversary stay! Perfect venue for a perfect day. Thank you so much for all your help, professionalism and outstanding service on our wedding day! Hannah, thank you and the team so much for helping us organise the absolute best day of our lives. The day was perfection, accompanied by some well-timed sunshine. Please could you also thank Lauren, she was an absolute star. The rooms were set up better than we’d ever imagined, the running of the day was amazing, the food was amazing and Lauren was brill, even picking up and sorting Amy’s dress, including the evening too. So many people commented on how beautiful the venue was. We will definitely be recommending it to other potential engaged couples!